" Receiving a LoadLibrary failed error 193 means that your application has a 32-bit DLL file and won't run on your 64-bit operating system. " As I see you are already on 64 bit os, but there is something what makes this problem. 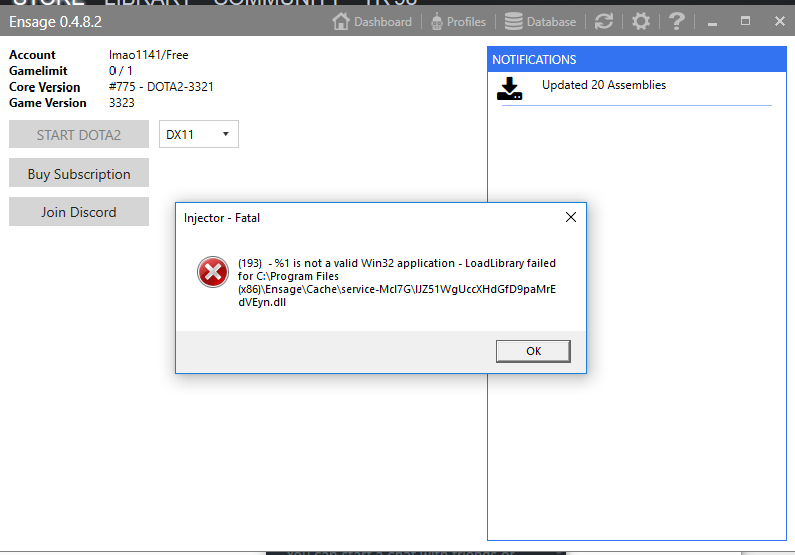 Cant tell how to fix because allot of things could make this error. There are plenty of fixes, if you search on google. Maybe try reinstalling loader on c drive, also if you read from ms website ^ below (under Cause), ensure that neither of these problems exists.